Taking chances is one of the hardest part of dating and relationships because there are no guarantees. It's scary, it's vulnerable and you have to push yourself to do it because no one else can do it for you. In "Rose the Prude," Arnie Peterson (from Plainfield, NJ! ), invites Rose away for the weekend on a cruise. Having not been with a man since Charlie passed, Rose is conflicted with her feelings of wanting to go and yet not being quite sure about moving on to this new part of her life. The Girls have a long talk about it and she decides to go. Despite having a momentary panic at the thought, she decides to sleep with Arnie and it turns out to be wonderful. The bottom line is in life, sometimes good things happen, sometimes bad things happen. But honey, if you don't take a chance nothing happens. Taking chances is so important when it comes to love and relationships, but it can be scary AF. Even if we do decide to take chances, it doesn't always means it will turn out in our favor especially if we wait too long when opportunity knocks. In "Great Expectations," Blanche reunites with Steven, a man whom she cares for but once he has a heart attack she bolts at the time when he needs her the most. The Girls talk some sense into her and encourage her to take a risk since the relationship is worth it, and she finally visits him in the hospital. By the time she's ready to put herself out there and take the risk with a man who has a bad heart, he has reconnected with his ex-wife. 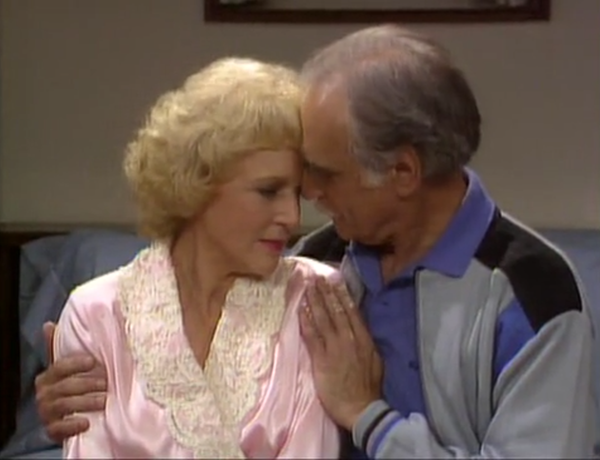 In the end, Blanche says she learns something about missed opportunities and taking chances. In life there ARE no guarantees: there are CHOICES! One thing is for sure; love comes with a lot of the unexpected. I know many people who have ended up with someone they never envisioned and it turned out to be for the absolute best. Being open to love and relationships from unlikely places gives us so many more opportunities to grow and learn about relationships, ourselves, other people, etc. Even if it doesn't pan out, there is always something to learn. 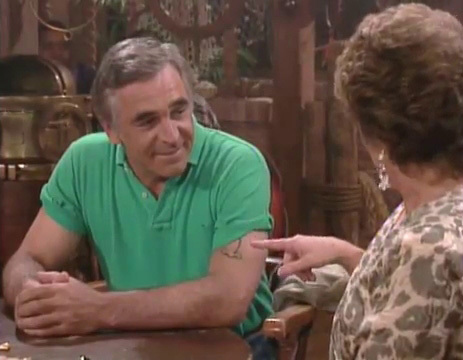 In "Diamond in the Rough" Blanche starts to date Jake, a working class cook who only needs a t-shirt, some good food and good company to be happy. Blanche gets stuck on the fact that they are from "2 different worlds" because she sees herself with a man whose a bit more polished. When she realizes how wonderful he truly is and has a change of heart, he says that she was right. Despite his love for her, he wants to be with someone who accepts him for who he is. 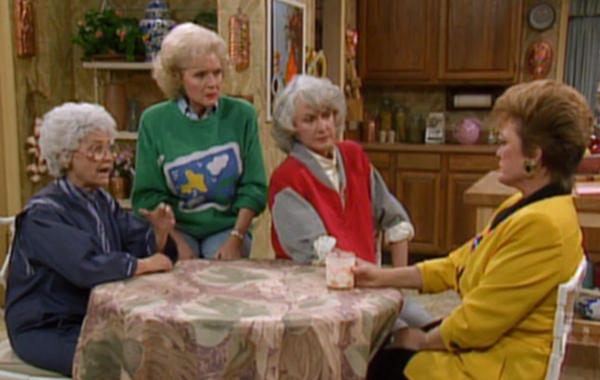 Blanche was not open to the differences and in the end, loses what could have been one of her best relationships. 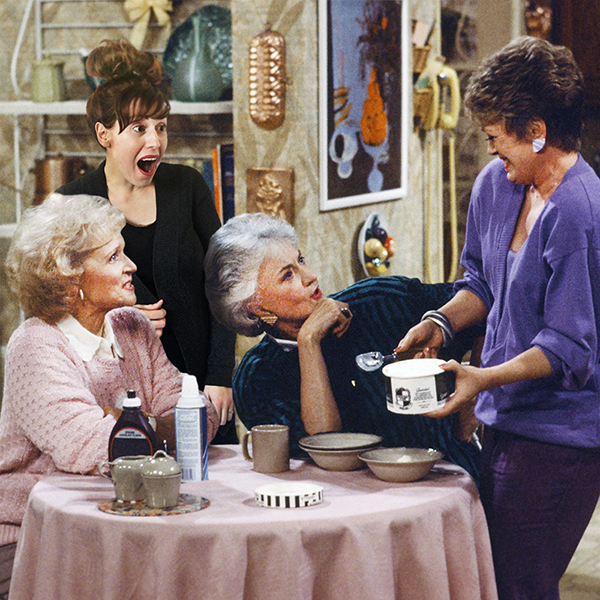 In Season 4, Sophia's best friend, Esther Weinstock, passes away and Sophia brings Dorothy back to Brooklyn for the funeral. After patching up her relationship with Esther's husband and Sal's former business partner and friend, Max, the two begin a relationship that leads to marriage, a failed attempt at business and the realization that they're not meant to be married: just good friends. As Sophia said, she mistook "a great friendship for a great love." It may not have worked out, but Sophia was open to this unlikely coupling and even learned about herself in the process. That's essentially what it is to be in a close, loving relationship, right? You get out of your comfort zone, let your guard down and hope like hell that you don't get your heart broken. We all know that Blanche isn't one to stand on ceremony ("Or the floor!" as Sophia puts it.) When she wants a man she goes for it. Her unapologetic sexual drive is one of her most admirable qualities, despite the jokes she takes about it. Rose, on the other hand, is a little more prudent. In A Little Romance, Rose begins to date Dr. Jonathan Newman: a Little Person who works at her office. She enjoys his company and cares for him a great deal, but is torn by the fact that she is super into him, but also embarrassed for people to see them together. After much thought and talking with the Girls, she decides she wants to keep seeing him and wants their relationship move forward. Unbeknownst to her, Jonathan is simultaneously having issues of his own regarding their relationship; he ultimately ends their courtship because Rose isn't Jewish. Rose is initially angry, then somewhat relieved that she wasn't the only one who was having doubts. It's such a tired saying/mantra/belief but it is so very true. Your gut will never steer you wrong. EVER. We can fight it all we want, but deep down we always know when something is not right. I've decided not to make the same mistake twice. Guts, Dottie, that takes guts! Sometimes people find themselves in situations where they can choose to either accept a relationship as it is (despite the fact that the circumstances may be highly undesirable) or move on and look for what they want in someone else. Depending on how strong two people have a connection this can be very difficult. It comes as a surprise during this series that Dorothy (not Blanche) is the one who has an affair with a married man in That Was No Lady. His name is Glen O'Brien and although Dorothy finds herself in love, Glen wants to have his cake and eat it, too. He's not willing to leave his marriage for her, but does not want to stop seeing her. Dorothy decides that if she stays she will be giving up her future and cares too much about herself to let that happen. Everyone wants someone to grow old with, and shouldn't everyone have that chance? Regardless of what goes down romantically between two people, one constant that we can always return to is good, close friendships (provided you weren't a complete jackwagon during said relationship.) Those are the people who stick around through thick and thin, at your worst and at your best and provide love even at times when they may not like you, or you may not like them. It's incredibly important to keep those people close. It makes the hard times so much easier. Feb 20 Happy (Almost) Birthday, Rue!